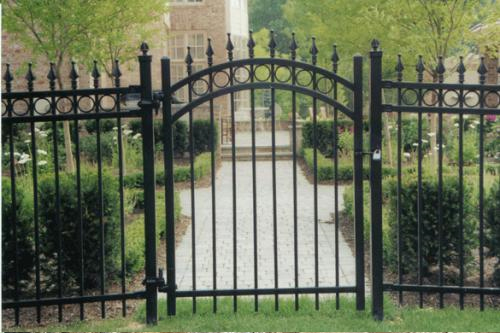 Aluminum fences are popular for a variety of applications, which isn’t surprising given the many advantages of an aluminum fence. If you’re considering new fencing, read on to find out why aluminum could very well be what you’re looking for. Aluminum is well-known for its unique combination of strength and light weight. An iron fence is strong, but also heavy. Aluminum, on the other hand, is strong and light at the same time. With proper care, aluminum is also very long lasting. It’s a non-ferric metal, which means it won’t rust like other metals do. We manufacture all of our aluminum fences ourselves and treat them with a special powder coating that reinforces their strength as well as looks good. We guarantee our aluminum fencing with our limited lifetime warranty, so you know that it’s built to last. There’s no application that aluminum fencing can’t be used for. Aluminum’s strength and light weight makes it great for residential, commercial, and industrial use. Our aluminum fencing comes in many different grades and styles, and aluminum’s light weight also makes it easy to install. 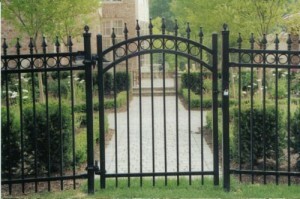 We offer black, white, bronze, and hunter green colors that make for classy looking fences. This entry was posted on Thursday, October 10th, 2013 at 8:42 pm. Both comments and pings are currently closed.